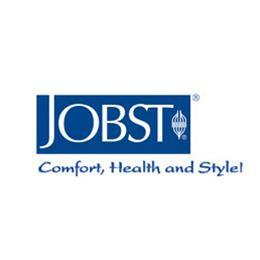 The name Jobst® means effective compression therapy and quality. That is why Jobst is the #1 Physician Recommended brand. Our superior reputation keeps patients and physicians coming back. While therapy is our first concern, we realize that comfort and style are also important to you. That is why we offer the sheerest in Jobst UltraSheer, the softest in Jobst Opaque, Jobst for Men created with men in mind, and Jobst Relief, our lower cost brand. A broad range of styles from knee, thigh high, waist,chaps, open and closed toe are manufactured to meet your needs in fashionable color choices, because your satisfaction is our #1 goal.